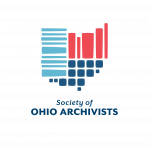 The Advocacy and Outreach Committee has created a new blog feature based on the “I Found It in the Archives Contest” where anyone who has discovered a “treasure” while searching an archive can share that discovery on the Society of Ohio Archivists’ Web-page. The entries will be reviewed and posted on a rolling basis. You will be contacted when your entry has been posted. One of the great rewards in the archives profession is hearing “thank you” from a person whom you have helped to find an important piece of information, or treasure. Archives Month has provided an opportunity to tell (or remind) people that items that are important to them are being preserved, cataloged, cared for, and made accessible by archivists — like you! In conjunction with Archives Month, SOA is encouraging a special effort to involve people who have sought out archival collections by engaging them in a fun contest that makes use of online social platforms. I Found It In The Archives is a collective effort started in 2009 by the Society of American Archivists to reach out to individuals who have found their records, families, heritage, and treasures through our collections. Now, SOA is running the contest throughout the state of Ohio. Ask your users, your friends, and even people you’ve never met to share their stories of discovery. Set up a contest, select the best entries, and allow others in the online world to vote for their favorites. Your local winner will join others in what will be a state-wide competition, culminating in October when the state-wide winner will attend the OLHA/SOA Fall Meeting in Columbus. Submit your entry by August 1, to kgrossi@oberlin.edu. Measure your success in terms of entries, but also by the number of times you promote this contest with email messages, Facebook or blog posts, tweets, or YouTube videos. As others pass along your posts, you expand the opportunity for awareness. As local media carry stories of your contest — and post information online — you add to the awareness effect. How many people visit your website as a result of your promotion? Each person who clicks on your repository’s website is being exposed to who we are and what we do. Please begin making plans now to launch your I Found It In the Archives local contest. Working together, we’ll build awareness of the people we serve, the history we preserve, and the significant contributions of archivists! Which "I Found it in the Archives" experience is your favorite?